Monday, Nov. 30, 2009, Royal Caribbean International will put a new twist on one of maritime’s longest standing traditions - the naming ceremony of Oasis of the Seas will have seven godmothers instead of the usual one. Royal Caribbean has chosen seven extraordinary godmothers to represent the seven signature neighborhoods onboard Oasis of the Seas. According to RCI, each of the seven godmothers was chosen because they personify strength of character, exemplify the spirit of giving, and are role models for men, women and children alike. For more details about these godmothers, see the official press release. Monarch of the Seas has a front-row seat for the Landing of STS-129. Since it will be docked in Port Canaveral on Friday, November 27th prior to the scheduled landing, passengers still onboard will be able to see the STS-129 approaching the Kennedy Space Center. Once again traffic might be a little congested as it was when the shuttle took off, so be sure to plan accordingly if you are departing the ship or arriving for the next departure. 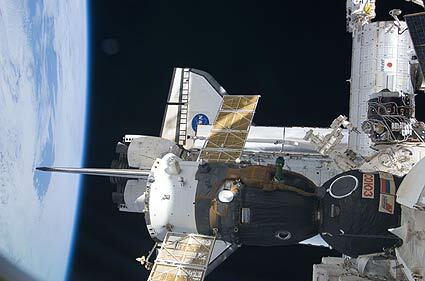 For more information about the space shuttle mission, see STS-129 Mission on Nasa's website. If you've allowed extra time after your cruise, you might want to take a tour of Kennedy Space Center. The busy holiday shopping period has begun. If you go to your local mall, people are dashing from store to store frantically trying to find that special gift for a friend or someone they love. Do you hate going to the malls to shop during this busy season? Are you struggling to find the perfect gift for someone on your list? 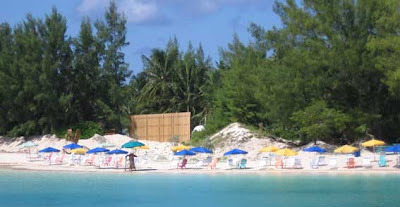 Would that person enjoy a relaxing vacation on a beach like the one pictured above? Do your gift shopping from the comfort of your home or office. There is no question that 2009 has been a tough economic year. You might have noticed that several cruise lines introduced new ships this year. The most recent addition is the world's largest cruise ship, the Oasis of the Seas. What were the cruise lines thinking? A new cruise ship doesn't happen overnight. In fact, from inception of an idea to the inaugural sailing takes many years. When Royal Caribbean placed its order with STX Europe in Finland, the economy was in much different shape. Now that there is all this extra capacity, each cruise line is competing for passenger's cruise vacation dollars. That's great news for you, the consumer! Every day, fantastic offers have crossed my desk and I've shared them with you, my faithful readers, throughout the year. Guess what? The bubble is about to burst. Prices will soon be rising again as the economy starts to recover. There is still time to take advantage of the low prices - but you must act now. Remember my words in a couple months or so. Don't set yourself up for regret - book your 2010 cruise vacations NOW. They make great holiday gifts!! 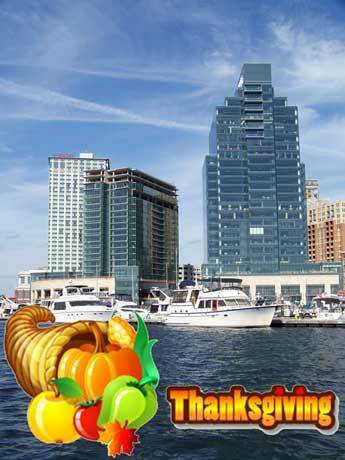 It's hard to believe that Thanksgiving is here already. Where did 2009 go? As has become my tradition, I'd like to share with you some of the things that I'm thankful for and highlight some of my adventures this year. While this has been a tough economic year, it appears that the cruise industry has weathered the storm. 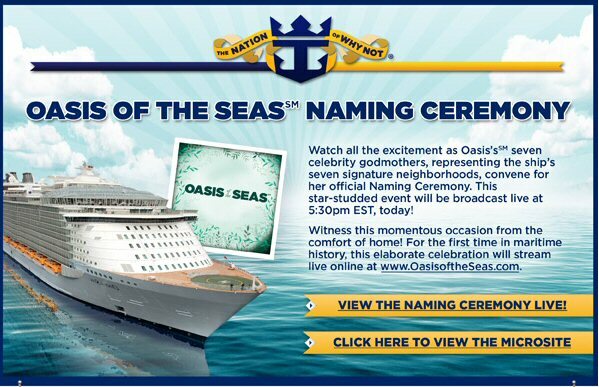 Just this month, we have been highlighting the introduction of Oasis of the Seas. Royal Caribbean International has set the standard bar quite high with this new marvel. The value of cruising has never been stronger. Even in these tough times, more and more families have taken to the seas. There were some record discounts offered, making it even a better value, and consequently we have seen a surge in first-time cruisers. The photos above are from some of our cruises this year. 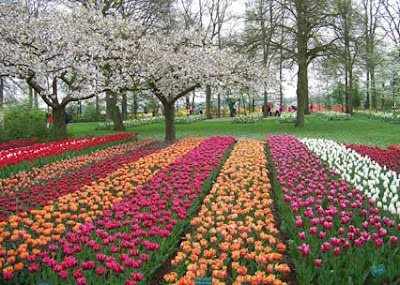 The true highlight of the year was our Tulip Time river cruise on AMA Waterways Amalegro. We sailed out of Amsterdam, Netherlands visiting the surrounding Belgium and Holland area. My favorite memories are of the Keukenhof Gardens (top photo) where we saw thousands of tulips in bloom and Brussels where we feasted on Belgium chocolates and freshly made Belgium waffles topped with fruit and chocolate. Mid-year we visited Canada and New England stopping at Saint John, New Brunswick, Canada (middle photo) and Halifax, Nova Scotia, Canada. The Reversing Falls in Saint John and a Tall Ship Sailing Experience were two of my favorite things from that cruise vacation. Our National Conference departed last month from Baltimore, Maryland (bottom photo), and sailed to Port Canaveral and then on to the Bahamas. Carnival Pride is now sailing year-round from this port which is within driving distance of many parts of the Eastern United States. Our visit to Baltimore was definitely a highlight of this trip as was our all day excursion to Blue Lagoon. When the Pilgrims came to the New World, they came in Tall Ships, much like the one we sailed on in Halifax. The average length of those ships were 110 feet. The length of the Oasis of the Seas is more than 10 times that at 1182 feet. The Pilgrim ships had 32 - 150 passengers while the Oasis can hold more than 6300 (not counting the crew). It took months to cross the Atlantic while the Oasis of the Seas took 14 days (due to the storm encountered in the Northern Atlantic). Thank you for making my blog column a part of your lives in 2009. I hope that the information I share helps you to dream about future cruises of your own. I'd be honored to help you plan those trips. I have the best job in the world - helping make dreams come true. For that, I'm truly thankful. 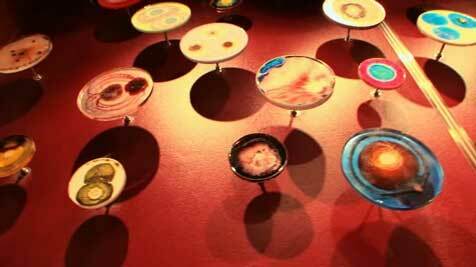 This year two things were on people's minds most of the time - the economy and H1N1 flu. In reality, there's not much anyone can do to change either of these things, but one can be prepared to react to different situations that may arise. We've already seen how Oasis of the Seas is virtually a floating city. It has its own neighborhoods as well as all the facilities that you'd find in your own town or village. Perhaps one of the most important facilities in any neighborhood is the medical center. 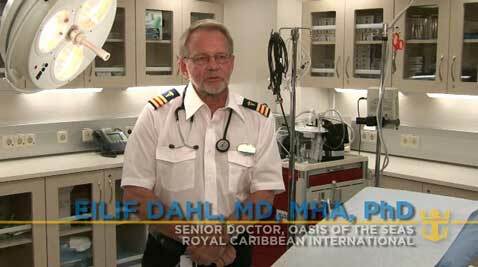 Oasis of the Seas has one of the most advanced medical facilities onboard any ship on the seven seas. Let's take a visit to the doctor's office in this video. You'll see all the modern equipment and the staff ready to respond to any medical emergency. The medical facility can provide cardiac care, handle breaks and sprains, care for all sorts of illnesses including H1N1 flu. In some cases, it is best to transfer the patient to a local hospital, so rescue is only a radio call and hellicopter ride away. Don't forget to purchase travel insurance to pay for that hellicopter ride should it become necessary. Royal Caribbean has a long tradition of presenting important art collections onboard their ships as part of the overall cruise experience. Oasis of the Seas has a unique art collection, one that will live up to it's innovative features. With just days to go before the first passengers set sail on Oasis of the Seas, artists are at work onboard completing the ship decorations. The photo above is just one of the many modern works of art that you'll find onboard. In this video, you'll see artists at work and hear about the planning that went into the Oasis' Art Collection. Do you like taking a walk in the park after dinner or even sometime during the day? Did you ever think you'd be able to do so onboard a cruise ship? Onboard Royal Caribbean's newest ship, Oasis of the Seas, it is definitely possible to stroll through Central Park. Central Park is one of seven neighborhoods introduced on the Oasis class ships. It is the ship's town square. This open-air venue consists of winding paths, quiet reading corners, specimen gardens and other hidden surprises to make your stroll very enjoyable. During the day you'll find passengers enjoying the peace and tranquility of the gardens while at night, Central Park comes alive with dining, entertainment, and street performances. You can get a bird's-eye view of Central Park from one of the 300 balcony staterooms which span six decks and surround the park. This is a first, among many others onboard Oasis of the Seas, for the cruise industry. Now that Oasis has arrived in Fort Lauderdale, it's time to bring Central Park to life. In this video, you'll see how the plants were lowered with huge cranes and how workers assembled this unique garden. The Oasis of the Seas completed its first pre-inagurual sailing with travel partners, Royal Caribbean executives, the cast and crew of ABC's Good Morning America, and others onboard. The cruise culminated with a live broadcast Friday morning from various venues around the Oasis of the Seas, giving us a first-hand look at the now finalized ship. In the following video, Captain Bill introduces us to the GMA crew and we then get a sneak peek behind the scenes of their live broadcast from aboard the ship. They show us their view of this amazing ship. You'll see the carrousel in Central Park, synchronized swimming in the AquaTheater, high-diving, zip-lining, and as much of the ship as the GMA crew could bring us in two hours. If you missed the Good Morning America show ... start here, and then continue with the remaining videos, photos, and stories. Here are additional videos and photo galleries from the Good Morning America live broadcast from Oasis of the Seas as well as the arrival into Fort Lauderdale. Some items are GMA web exclusives. WATCH: Web Extra: Central Park at Sea? What's On Board the Oasis of the Seas? Can't get enough of the Oasis of the Seas? Here are some more links for you to explore. This article was written a year ago when Oasis of the Seas had just crossed the Atlantic and arrived in its new homeport. We have just finished a similar journey with Allure of the Seas. We brought you updates from the ship's captain throughout the voyage, pointing out some of the differences between Oasis and Allure. No matter which ship you choose to sail, your experience will be off the charts since these are amazing ships. I know some of you have gotten to this page looking for details about a particular sale. Since the internet is forever, unless we remove this page from the blog, you could be directed here incorrectly. Please see our website or contact us directly if you are interested in a particular sale. It is best to subscribe to our eNewsletter because you will get the inside scoop on all sales. To learn more about the Oasis and Allure, search our blog. We have written several articles about both ships. We have been following the introduction of the Oasis of the Seas this month. Today, we turn our focus to her sister ship Allure of the Seas which is currently under construction. 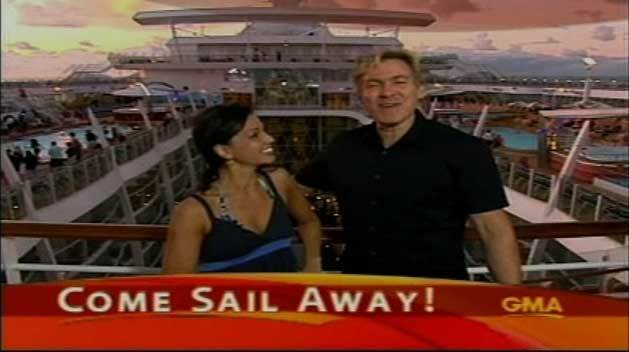 ABC's Good Morning America show today features a live broadcast from onboard the Oasis of the Seas. 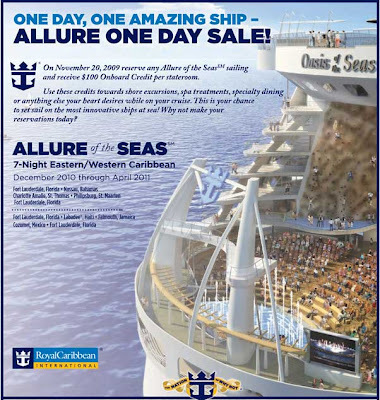 Royal Caribbean International announced a 1-day sale in conjunction with this special event. Receive a $100 onboard credit that you can apply to anything you like during your Allure of the Seas cruise. Folks, this is FREE MONEY. Contact me to take advantage of this limited time offer or to get on my mailing list for these and other specials. The Allure of the Seas will be sailing starting next year about this time. It will have alternating itineraries to Eastern and Western Caribbean while the Oasis of the Seas continues with Eastern Caribbean voyages. 3 WAYS TO SAVE ON ALASKA, EUROPE & THE CARIBBEAN! 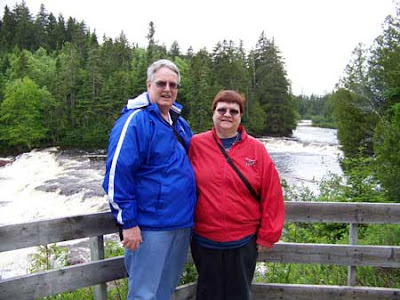 Choose from 7-day Alaska cruises, 11-day Alaska cruisetours, 10-day Europe cruises, or 7-day Caribbean voyages at special rates. Balcony staterooms at Oceanview fares, or Oceanview staterooms at Interior prices! The Disney Dream Cruise Ship is scheduled to set sail in 2011 but the excitement has already begun. This year we've seen new ships from several cruise lines, with each one introducing new innovations. The Disney Imagineering Team has been hard at work coming up with their own set of new innovations for the new Disney ships. Have you ever cruised in an inside cabin before? If you like sleeping in the dark, an inside cabin can't be beat. Perhaps you loved the inside cabin. However, wouldn't you have liked to have a porthole? With a sprinkle of Pixie Dust, a new concept was born... the Virtual Porthole. You may be deep inside the ship's interior, but through the magic of Disney, you have a “window” to the world. How is that possible? Well, thanks to high-definition cameras placed on the exterior of the ship, you'll be able to "see" outside even in an inside cabin. Who knows, a surprise character might even appear looking into your porthole. 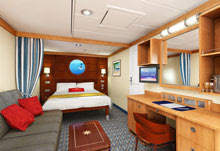 Staterooms on the new ship are luxurious, spacious, and designed for families. That's great news in an age where more and more families and extended families are cruising together. Don't leave the kids at home. Take the entire family on a Disney Adventure onboard the Disney Wonder, Disney Magic, or in the not too distant future, the Disney Dream. In fact, bookings are already open for Disney Dream. I know, the ship isn't even built yet, but there already is quite a stir about the new ship, so be sure to get your favorite accomodations by booking early. I'll continue to bring you more information about the Disney Dream in the months ahead. Email me if you'd like to be on a special mailing list for the Disney Dream. Royal Caribbean continues to closely monitor the path and progress of a major weather system affecting the mid-Atlantic region. Due to this inclement weather and strong winds, the Port of Baltimore closed yesterday and reopened today at 10:00 a.m. Since the ship cannot transit the Chesapeake Bay until the port is open, and because it takes approximately nine hours for a ship to transit the Bay and dock, Grandeur of the Seas is not expected to arrive in Baltimore until approximately 7:00 p.m.
Boarding for embarking guests will begin at approximately 11:00 p.m.
Royal Caribbean asks that guests who are scheduled to sail on Grandeur of the Seas today, Saturday, November 14, not arrive at the pier until 9:30 p.m. for check in. 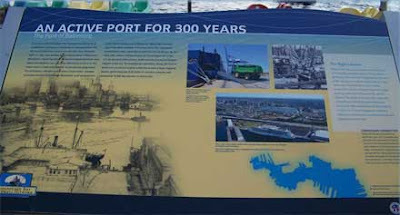 However, please arrive no later than 2:00 a.m.
Regrettably, because of the delayed departure, and the time and speed needed, the ship will now arrive in Kings Wharf, Bermuda at 8:00 a.m. on Tuesday, November 17, instead of on Monday, as originally scheduled. Royal Caribbean sincerely regrets the impact weather conditions are having on the departure of this cruise. We will monitor this situation and post any additional updates. Launch countdown operations are on schedule with no issues to report, according to officials at NASA's Kennedy Space Center in Florida during the STS-129 prelaunch briefing. With the unfortunate scrub of the Atlas rocket from Cape Canaveral Air Force Station today, space shuttle Atlantis is cleared for launch at 2:28 p.m. EST Monday. 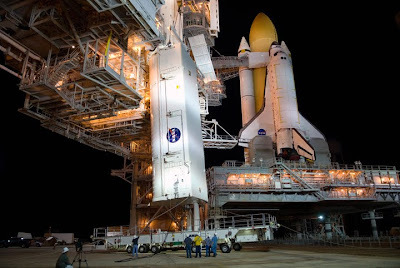 Why am I blogging about a Space Shuttle Launch? Have I upgraded from Cruise Ship to Space Shuttle? The space shuttle launch could impact YOUR plans ... if you are on the Royal Caribbean Monarch of the Seas cruise that departs Monday from Port Canaveral, Florida. As of now, weather is predicted to be perfect for launch, so barring any unforseen problems, the shuttle should take off at 2:28 PM Eastern time Monday. Monarch of the Seas is scheduled to depart Monday, November 16, on a 4-Night Bahamas, Port Canaveral R/T. The cruise is scheduled to depart at 5 PM. That means that guests will start boarding the ship mid-day. Due to the shuttle launch, traffic will be quite busy in the Port Canaveral area. Passengers should allow extra time to get to the pier. Also, if you are on the ship prior to launch, you might have a bird's eye view of the shuttle launch. This could be a once in a lifetime experience that you don't want to miss. For the last fourteen days, we have been watching the Oasis of the Seas journey from Finland to Fort Lauderdale, Florida. The day we have been waiting for has finally arrived. For some people Friday the 13th is an unlucky day, but for Royal Caribbean International, the hope was that this day would actually be quite the opposite. 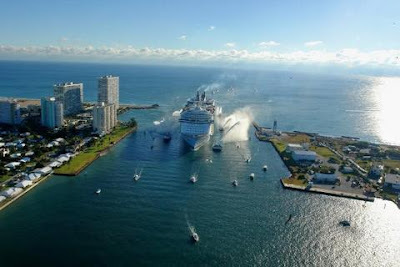 The world's largest cruise ship's revised schedule called for completion of its 14-day Trans-Atlantic journey with the pulling into its new berth in Port Everglades, Florida. Those who wanted to watch the arrival of Oasis in Port Everglades, accompanied by a flotilla of fireboats and private vessels, could do so at John U. Lloyd Park, Dania Beach. (see link above). As you can see from the photo above, it was a glorious day in Fort Lauderdale, as the Oasis of the Seas was escorted into the harbor with the traditional fireboat salute. I will be posting more pictures as they arrive from additional sources who were onhand for today's events. Captain Bill gives final report from the bridge before arriving in Fort Lauderdale. In this video, you see the arrival from crew's perspective. I hope you have enjoyed our coverage of the Oasis of the Seas Atlantic Crossing as much as we have enjoyed bringing it to you. Royal Caribbean and STX Europe should be very proud of their accomplishments. The ship handled the rough North Atlantic seas, facing hurricane force winds and waves, without much of a problem. The only issue was that it delayed the arrival into Florida by two days. We will conclude our coverage of Oasis's Journey with stories and pictures of today's activities. There is still time for you to take advantage of our exclusive OBC offer (see below). Don't miss your opportunity to explore this amazing ship first-hand. Welcome Home Oasis of the Seas, Welcome Home !! Book a 7-Night Eastern Caribbean Cruise aboard the Oasis of the Seas by November 15th and receive $100 Onboard Credit Learn more about Oasis of the Seas and applicable sail dates. On September 18, 200 Carnival Cruise Lines officially took delivery of its newest and largest ship, the 130,000-ton Carnival Dream. A traditional maritime handover ceremony was held at the Fincantieri shipyard in Monfalcone, Italy. 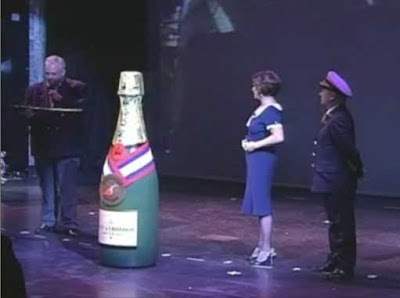 Since that time, the Carnival Dream completed 3 Mediterranean cruises and a transatlantic crossing to New York City where the naming ceremony was held November 12th. Senior Cruise Director John Heald and her godmother, actress Marcia Gay Harden, officially welcomed the newest and largest ship to the Carnival fleet with an uplifting and entertaining ceremony. Anytime that John Heald is involved, you can be sure there will be some lively entertainment. Oasis of the Seas crossing of the Atlantic is nearing completion. 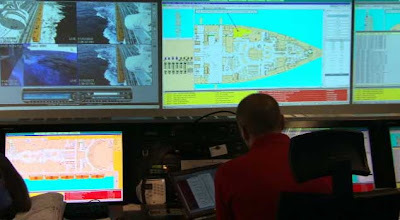 As we continue our coverage of this historic event, we get an insiders look at the Safety Command Center, a first for the cruise line industry. What is unique isn't the fact that the ship monitors safety, but rather that there is a separate facility, manned 24 hours a day, that is dedicated to keep the ship, passengers, and crew safe. Using state of the art equipment, the safety officers monitor everything on board and are able to respond to any unexpected condition. Even mustering is taken to a new level with electronic tracking of the mustering progress. In the following video, take a closer look at the Safety Command Center. You can be rest assured that safety is the number one concern on all cruise ships, but safety monitoring has never been implemented using technology like that employed on the Oasis. Final preparations are underway as the Oasis of the Seas gets closer to her home port of Miami. In this video, the Hotel Director shows us around the ship and describes what it takes to put the finnishing touches on the ship. History of Veterans Day: World War I – known at the time as “The Great War” officially ended when the Treaty of Versailles was signed on June 28, 1919. Fighting had ceased seven months earlier when an armistice, or temporary cessation of hostilities, between the Allied nations and Germany went into effect on the eleventh hour of the eleventh day of the eleventh month. November 11, 1918, is generally regarded as the end of “the war to end all wars". November 11, 1919, was proclaimed as the first commemoration of Armistice Day by President Wilson. For more informaton about the history, consult the U.S. Department of Veterans Affairs website. 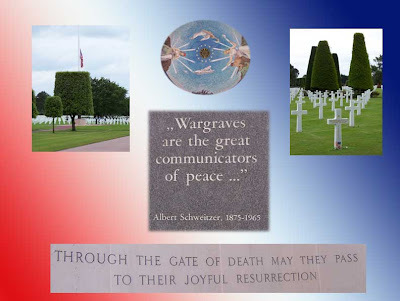 The pictures above were taken during our visit to the American Cemetary in Normandy, France. It was very moving seeing row after row of graves. For more pictures from our visit to Normandy, see my previous posts on the topic and also our cruise vacations website. While crossing the North Atlantic Ocean on its way to Port Everglades, Florida, Oasis of the Seas encountered strong winds and high seas. 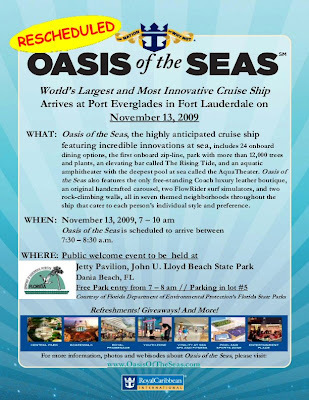 Due to the inclement weather, Oasis of the Seas is now scheduled to arrive at Port Everglades on the morning of November 13, 2009, two days later than originally scheduled. The late arrival will not impact any inaugural events, promotional activities or revenue sailings. 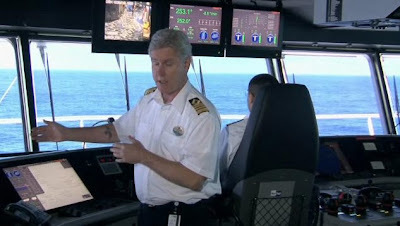 We continue our coverage of the Oasis of the Seas' first crossing by visiting with Captain Bill on the bridge. Joining him on the bridge are two well-known retired Captains of Royal Caribbean International: Captain Kent Ringborn (Ret. ), also known as the "signing captain" to those of us that had the great fortune to sail with him, who was at the helm of the Radiance of the Seas when it was introduced and Captain Ulf Svensson (Ret. ), who brought the Grandeur of the Seas into service. Both retired captains were amazed at the ship and how stable it was and how well it handled the rough seas of the North Atlantic. Hear their comments and see their reaction to the ship in the following video. In the following video, Captain Bill provides a detailed explanation of the equipment on the bridge of the Oasis. Then, you will get a behind-the-scenes look at the Turku, Finland shipbuilding yard where Oasis was built. Learn more about shipbuilding on STX Europe website. The Berlin Wall (German: Berliner Mauer) was a concrete barrier built by the German Democratic Republic (GDR) that completely enclosed the city of West Berlin, separating it from East Germany, including East Berlin. The Wall included guard towers placed along large concrete walls. It is believed that Nikitia Khrushchev, the Russian leader during the Cold War, suggested that the wall between East and West Germany be constructed. Despite denial of any plans to erect a wall by Walter Ulbricht, the GDR General Secretary, construction began in August, 1961. Germany was now divided; families were split from each other; the rest of the world could do nothing. November 9, 2009 marks the 20th Anniversary of the Fall of the Berlin Wall. 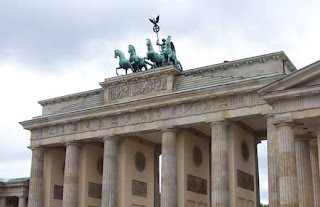 Brandenburg Gate was the site of a celebration to mark this event. It was at this same location that Former President Ronald Reagan spoke those moving words in front of the Brandenburg Gate: "Mr. Gorbachev, open this gate. Mr. Gorbachev, tear down this wall!" Today was a day of memorial services, speeches and events that attracted leaders from around the world, including former Soviet leader Mikhail Gorbachev. President Obama didn't attend in person, but In a video message screened at the main event, he paid tribute to the dissidents and demonstrators who ushered in the fall of the wall 20 years ago. "Let us never forget Nov. 9, 1989, nor the sacrifices that made it possible," Obama said to applause and cheers. Hillary Clinton represented the United States saying "We remember the people of the Baltics who joined hands across their land ... we remember the students of Prague who propelled a dissident playwright from a jail cell to the presidency". "And tonight we remember the Germans, and especially the Germans in the East who stood up to say 'No more.'" The photos above were taken during a cruise vacation to the Baltic which included a stop in Warnemunde , Germany. From there, we hired a private tour guide for a tour of Berlin. We stood where the Berlin Wall once stood, visited Brandenburg Gate and other well known historical sites. It is a long drive from the ship to Berlin, but it was well worth the trip. Royal Caribbean International is known for their fantastic production shows, and when Oasis of the Seas begins sailing in December 2009, that tradition will continue. The Tony award-winning Broadway-licensed musical, 'Hairspray,' is set to debut in the ship's grand Opal Theater. According to Peter Compton, RCI's Vice President Entertainment, "The show is licensed to Royal Caribbean International for three years aboard Oasis of the Seas with an option for a fourth year. Under the agreement, which was struck with the aid of New York City-based Music Theater International and Broadway Theatrical, the show will be available exclusively to the cruise line, ensuring the 'feel good' performance will be the only of its kind at sea." 'Hairspray' had a seven year run on Broadway, which ended this past January, and is still dazzling audiences at London's West End. The show is set in the 1960s and tells the story of Tracy Turnblad, a big girl with big aspirations who wins a spot on a local TV dance program and finds herself transformed into a teen sensation. Rehersals are underway onboard the Oasis as she sails across the Atlantic. In the following two videos, you can get a glipmse of the rehersals as well as learn more about the musical entertainment onboard. The show will be offered three or four times on each seven-night cruise itinerary, ensuring that guests have the opportunity to see the show at their leisure during their vacation. Other entertainment offerings include a yet to be announced aerial show, which will also appear in Opal Theater, jazz perfomances in Jazz on 4, a comedy show in Comedy Live, an ice show in Studio B, and two aqua shows 'Splish Splash,' a comedy dive show and 'Oasis of Dreams,' featuring aquatic acrobatics synchronized to a spectacle of music and lights which will performed in the AquaTheater. Tropical Storm IDA, which at one point was a Category Two Hurricane, entered the Gulf of Mexico Sunday afternoon. This is the first storm of the season to track into this region. Tropical Storm watches are warnings are posted for the Gulf Coast region. The NHC has issued its final advisory on this system. Public Advisories from the Hydrometeorological Prediction Center will provide updates as long as the system remains a flood threat. UPDATE: 900 AM CST TUE NOV 10 2009... IDA BECOMES EXTRATROPICAL... ALL WARNINGS DISCONTINUED... MAXIMUM SUSTAINED WINDS HAVE DECREASED TO NEAR 35 MPH... 55KM/HR... WITH HIGHER GUSTS. IDA HAS LOST TROPICAL CHARACTERISTICS AND ITS WINDS ARE EXPECTED TO SLOWLY DIMINISH DURING THE NEXT DAY OR SO. IDA TURNS NORTHWARD... SHOULD MAKE LANDFALL OVERNIGHT... MAXIMUM SUSTAINED WINDS ARE NEAR 70 MPH...110 KM/HR...WITH HIGHER GUSTS. WEAKENING IS EXPECTED THIS EVENING AS IDA MOVES OVER COOLER WATERS PRIOR TO MAKING LANDFALL... AND IS EXPECTED TO MERGE WITH A FRONTAL ZONE ON WEDNESDAY. IDA IS EXPECTED TO PRODUCE TOTAL RAIN ACCUMULATIONS OF 3 TO 6 INCHES...WITH ISOLATED MAXIMUM STORM TOTALS OF 8 INCHES... THROUGH WEDNESDAY EVENING FROM THE EASTERN GULF COAST ACROSS THE SOUTHEASTERN UNITED STATES INTO THE SOUTHERN MID-ATLANTIC STATES. WATER LEVELS ALONG THE NORTHERN GULF COAST SHOULD GRADUALLY BEGIN TO SUBSIDE DURING THE DAY. THIS IS THE LAST PUBLIC ADVISORY ISSUED BY THE NATIONAL HURRICANE CENTER ON THIS SYSTEM. This also ends our coverage of this tropical storm. The following are links to the most recent advisory posted by the respective cruise line. As we learn of changes, this post will be updated. This storm isn't as predictable as others so far this hurricane season. As you can see from the real-time tracking link below, there are a number of ships in the area that could be affected by Ida depending on the track it takes over the next few days. We are closely monitoring the progress of Hurricane IDA. All of our ships are currently operating at a safe distance from the storm. Our number one priority is the safety of our guests and crew. The 4 day cruise scheduled to depart on Tuesday, November 10 will be changed to a 3 day cruise departing on Wednesday, November 11. The scheduled call in Cozumel will be cancelled. Guests that sail on the 3 day cruise will receive a 50% refund of the cruise fare paid for the 4 day cruise. The 6 day cruise scheduled to depart on Tuesday, November 10 will be changed to a 5 day cruise departing on Wednesday, November 11. The scheduled call in Progresso will be cancelled and the calls in Cozumel and Costa Maya will be operated as scheduled. Guests that sail on the 5 day cruise will receive a one day pro-rated refund of the cruise fare paid for the 6 day cruise. Additional updates will be provided if any new information becomes available. Crown Princess will be rearranging the port calls on its November 7 itinerary to avoid Tropical Storm Ida. The ship will depart Fort Lauderdale as scheduled, and the new cruise itinerary will be as follows: Princess Cays; sea day; Grand Cayman; Roatan, Honduras; Cozumel, Mexico; sea day; return to Fort Lauderdale.